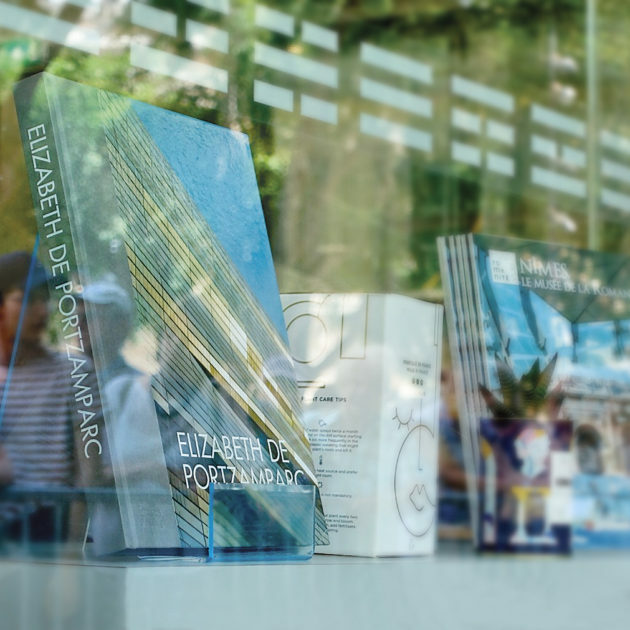 During the inauguration of the Musée de la Romanité, the monographic book about Elizabeth de Portzamparc’s work has been presented to the public. This book, edited by Australian book publisher Images Publishing, one of the most important publishers on architecture and design books, is part of a new collection named Leading Architects of the World, which highlights the work of many internationally renowned architects. It presents some of Elizabeth de Portzamparc’s greatest projects in urban planning, architecture, interior design, museography and design. The texts are signed by Philip Jodidio, one of the most widely read international authors in the field of architecture. Already on sale at the Museum’s shop and soon available in the best bookstores in France and worldwide.